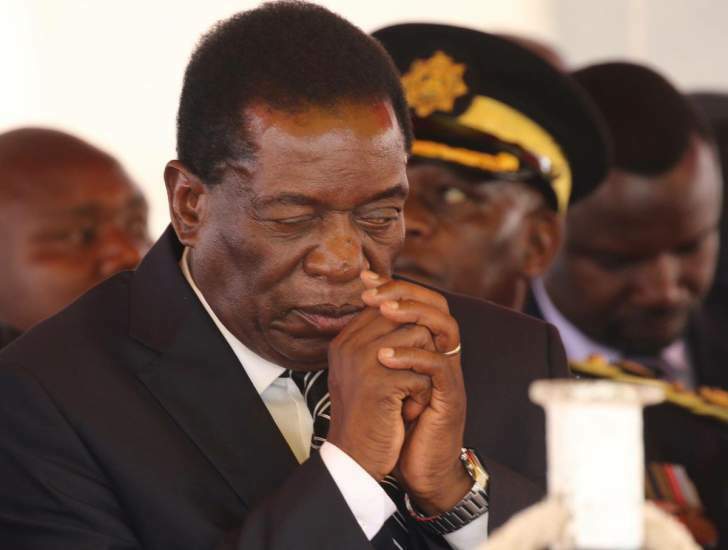 PRESIDENT Emmerson Mnangagwa yesterday vowed to clamp down on cartels involved in various corrupt activities such as fraud, money-laundering, insider trading and manipulation of government procurement tenders, saying these "saboteurs" were behind the country's current economic meltdown. Speaking at an annual public sector audit conference and financial management awards ceremony in Harare, Mnangagwa said Zimbabwe had lost millions of dollars to such economic ills and he would not allow cartels to continue sabotaging the economy under his watch. "It is presently disheartening that the country continues to lose huge sums of money due to fraud, money-laundering, procurement or tender manipulation, insider trading in stock and financial markets, among other ills in both the private and public sectors," he said. through various nefarious activities for personal gain and enrichment. Such propensities are both criminal and retrogressive." His statement came as several high-profile arrests have been made in the past few weeks, with the latest being of former Information Communication Technology minister Supa Mandiwanzira and ex-Zimbabwe Revenue Authority commissioner-general Gershem Pasi on allegations of corruption and criminal abuse of office. Acting Prosecutor-General Kumbirai Hodzi recently said his team would also be bringing 27 high-profile cases of corruption for prosecution before the courts as government's anti-corruption crusade deepens. Mnangagwa also warned he would soon be dealing with tax evaders and non-performing public enterprises to ensure the economy recovers after years of plunder and gross mismanagement. "Non-performing public enterprises coupled with tax payment evasion and avoidance continues to be an albatross around the neck of government. As we strive to eliminate corruption by 2030, let us in our respective entities always act in the best interest of our country. Auditors are critical in the detection, prevention and exposure of fraud, economic crimes and sabotage," he said. Turning to the 2% transaction tax introduced on all electronic money transfers last month, Mnangagwa said it had helped his government reduce the budget deficit and would not be repealed soon. "The tax is not a hindrance in the ease of doing business. It has helped us reduce the budget deficit. But when the (Finance) minister (Mthuli Ncube) first announced it, it had overlooked a lot of people who, in our view, ought to have been left out," he said. "I think he did his best to re-explain it and move out of compliance many categories whom we think will cause a prohibitive manner in doing business." Mnangagwa told the conference that the 2% tax would be further strengthened during the 2019 national budget presentation by Ncube on November 22. "We have our case that we have put a tax, come and argue that this tax is not good, this is democracy," Mnangagwa said. "If you succeed, the best argument will win, but for now, the tax is there, and the Minister of Finance will be making a statement very soon. I can safely say he will also look at that in order to improve. I don't know whether what he will say will improve your position or will improve mine."